A new listing from Coldwell Banker in Flower Mound’s “The Landing” neighborhood – about 45 minutes outside of Dallas on Grapevine Lake – is on the market for $13.9 million. 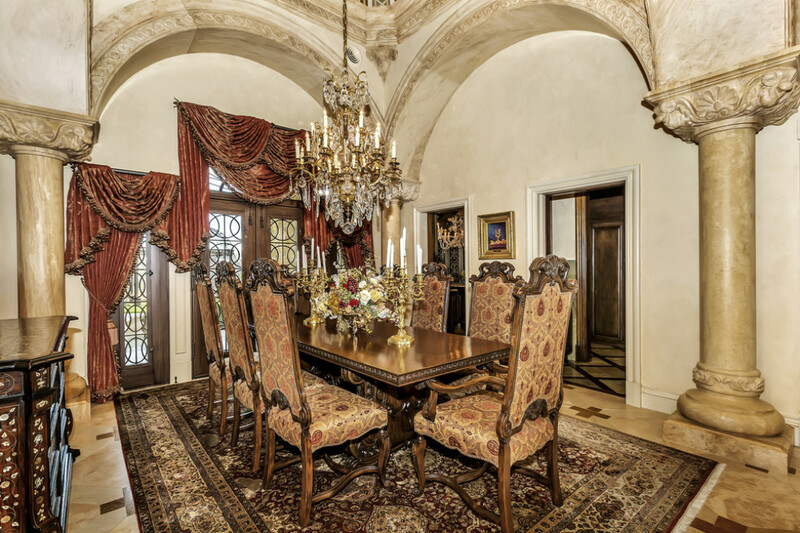 1904 Bayshore Drive is a gorgeous custom-built estate with 5 bedrooms, 6 full bathrooms, 2 half baths and an elaborate outdoor recreational area that includes a pool and pool house, spa, playground and tennis court. 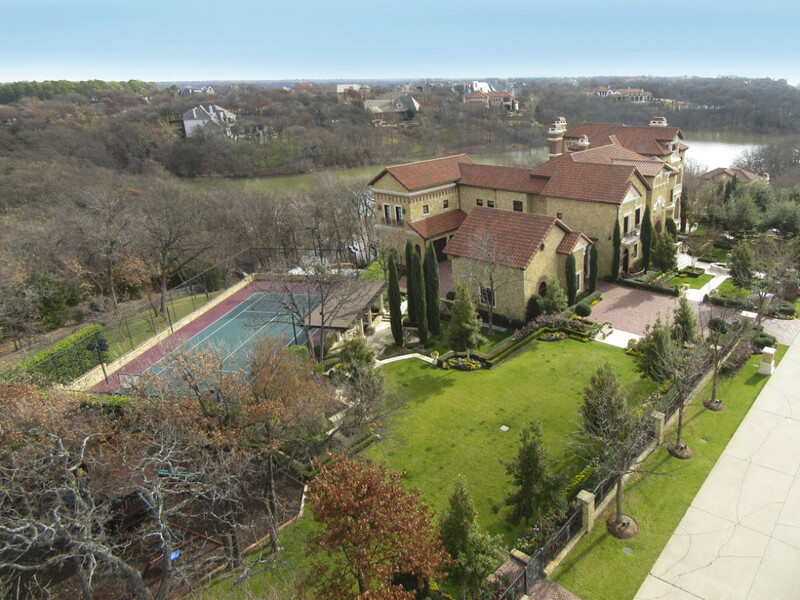 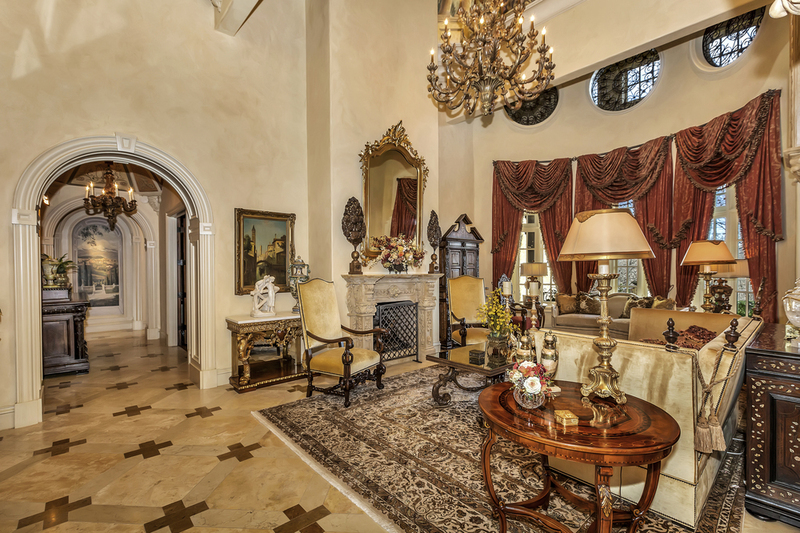 Situated on just over 2 acres and featuring over 13,000 square feet of living space, this one-of-a-kind stone mansion is reminiscent of grand Italian palazzos. 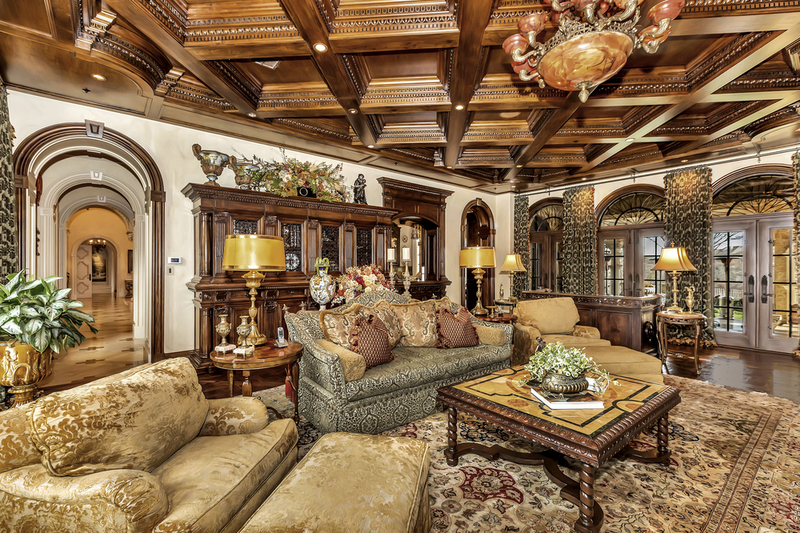 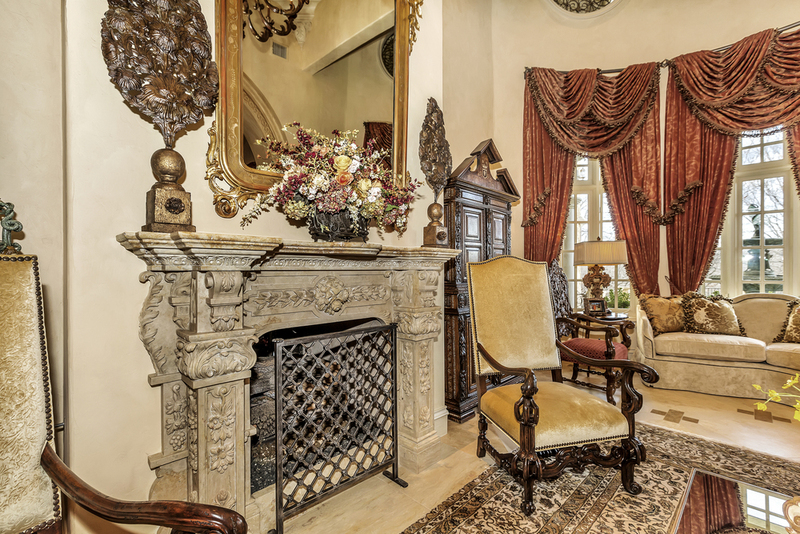 Every room of the home features exceptional custom details, including multiple handpainted murals by renowned artist Gregory Arth, walnut flooring and moldings, imported hand-carved marble fireplaces hand-cut in Italy, silk window treatments and crystal and alabaster chandeliers. 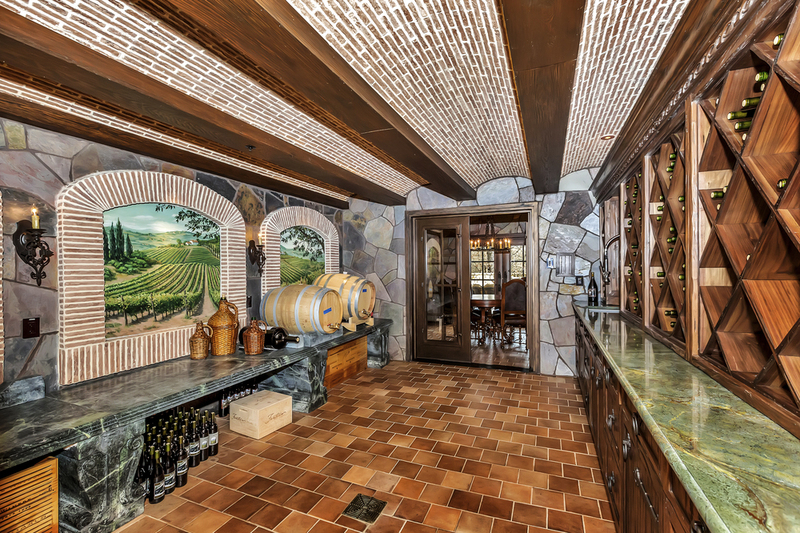 A spectacular gourmet kitchen is crowned with a 72” long hand-blown Murano glass chandelier, solid-wood beams and an Italian-style floral mural. 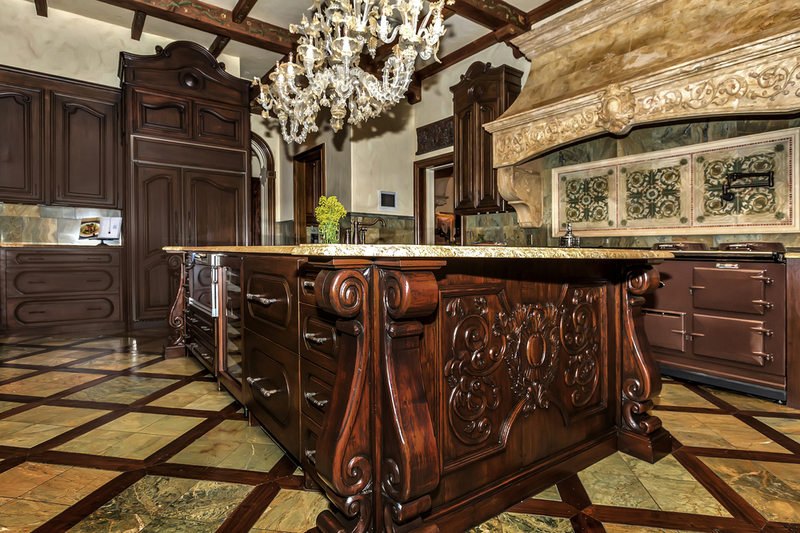 A solid-stone, hand-carved range hood tops the AGA cooktop and range, the furniture-grade cabinetry is crafted of hand-carved walnut, the fireplace has a custom marble surround and the floors are walnut inlayed with marble. 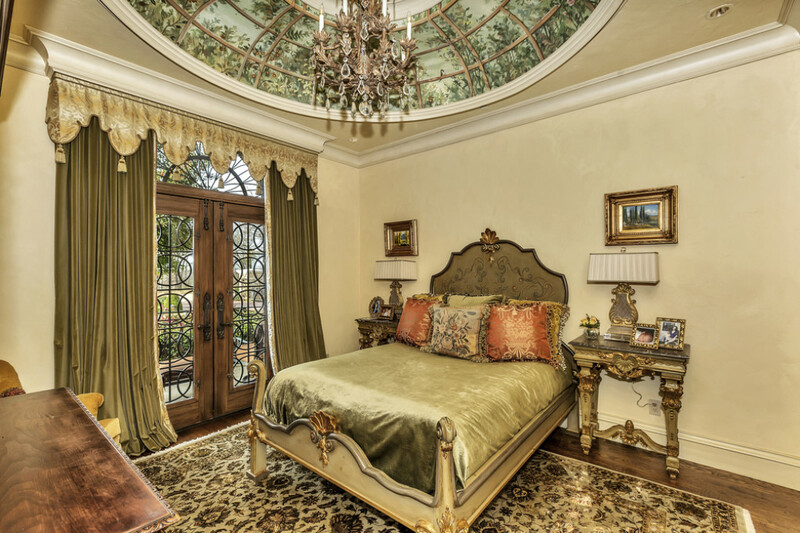 The master suite has a custom plaster ceiling treatment, walnut floors with marble inlay, fireplace with marble mantle, antique Italian doors and a rock-crystal chandelier. 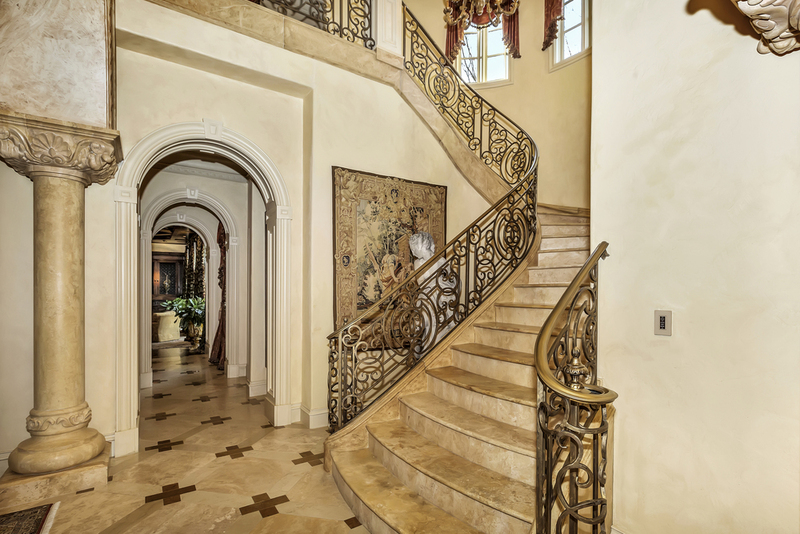 His-and-hers ensuite baths offer the ultimate luxury and include details like 24k gold faucets and marble floors and counters. 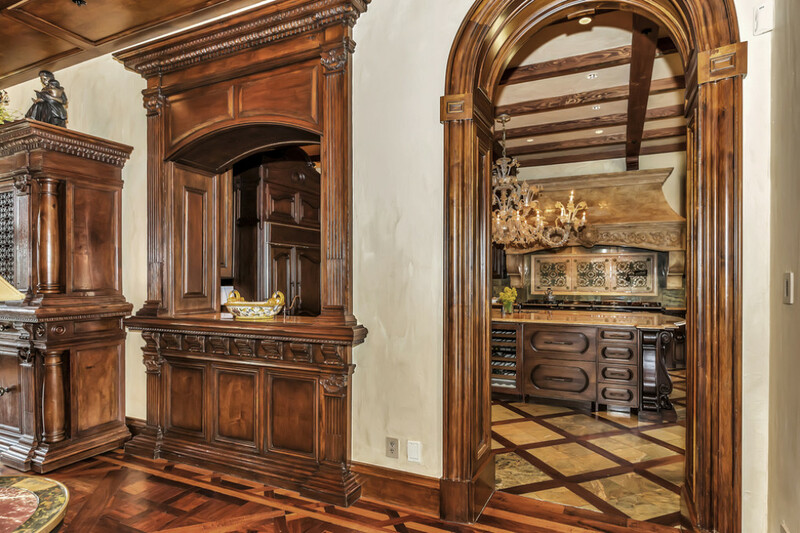 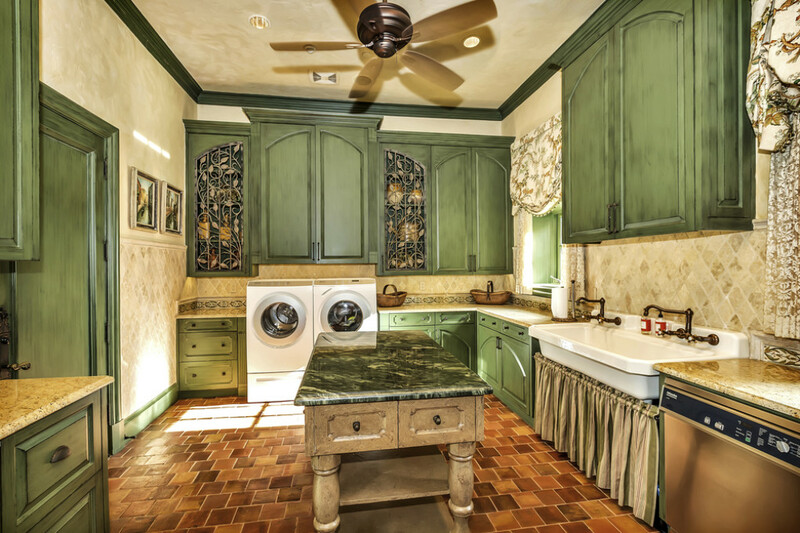 Additional spaces in the home include a family room and library, both with extensive walnut woodwork and antique chandeliers, spacious guest quarters and a wine area with fermentation room, tasting room and wine cellar. 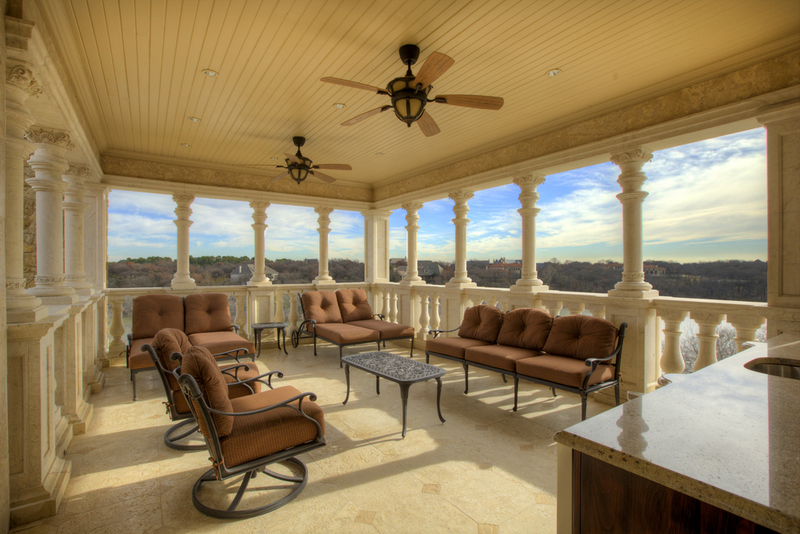 The home’s outdoor space is as thoughtfully designed and luxuriously appointed as the interiors. 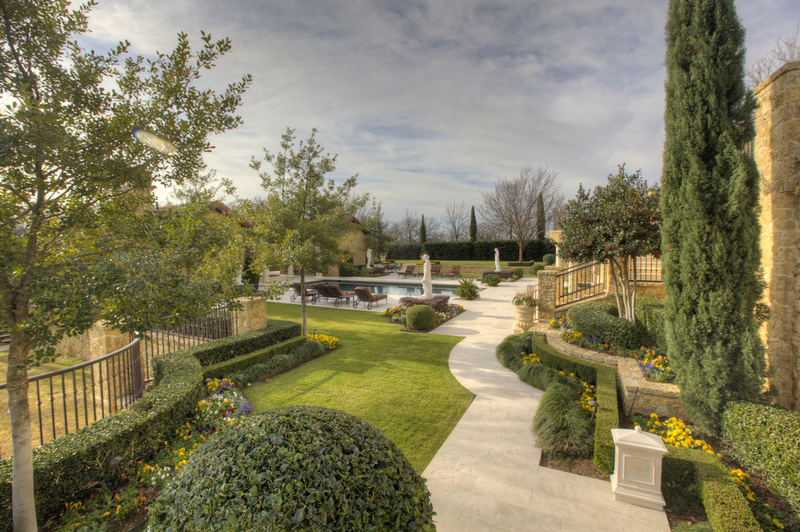 Meticulously manicured formal gardens and greenspaces, multiple levels with open and covered areas, and imported Italian stone patios, walkways and steps create a grand impression. 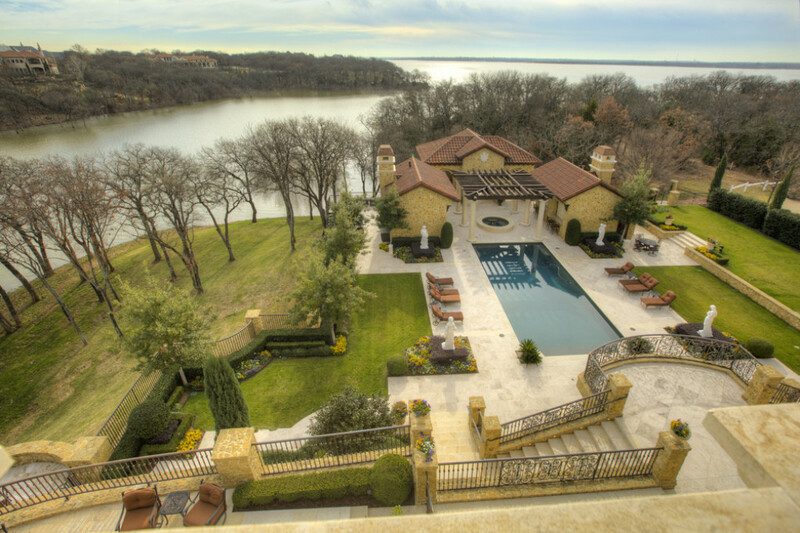 The large pool is accented by a pool house outfitted with a full kitchen featuring Viking appliances, covered seating areas, spa, playground and tennis court graciously accommodate every manner of outdoor recreation and entertaining.